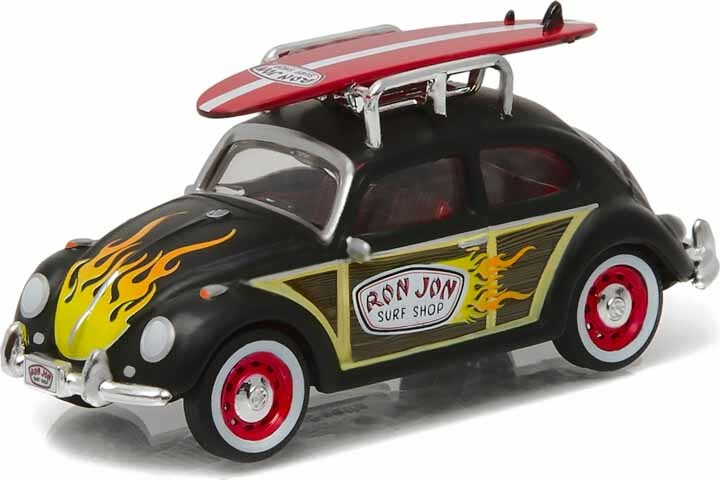 Surfs up GreenLight collectors!! 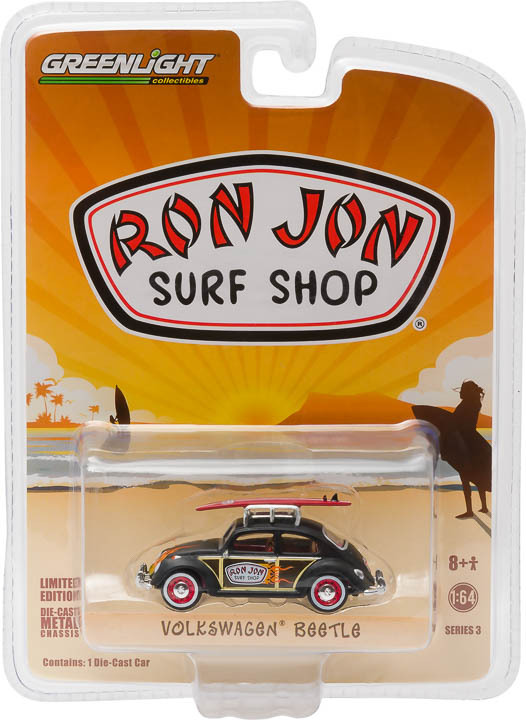 New Ron Jon Surf Shop exclusive VW Beetle is available now! Be sure to follow GreenLight Collectibles via all GreenLight official social media outlets – Facebook, Twitter and Instagram; as well as via the GreenLight website: http://greenlighttoys.com. GreenLight Collectibles is a premier manufacturer and marketer of authentic die-cast vehicle replicas, scale figures and other automotive-related products. GreenLight replicas are produced under various themes in 1:18, 1:24, 1:43 and 1:64 scales and are officially licensed by the world’s premier automotive and entertainment companies, including General Motors, Ford Motor Company, Chrysler Group LLC, Volkswagen AG, Honda Motor Co., Nissan North America, Airstream, Fleetwood, Winnebago Industries, Gulf, Shell, NYC & Co., Warner Bros., Carroll Shelby Licensing, Paramount Studios, AMC, Universal Studios, Eleanor Licensing LLC, The US Army, Elvis Presley Enterprises, The Steve McQueen Foundation, Sony Pictures, Verizon IndyCar Series and FIA Formula E.